CARACAS (Sputnik) – Russia will begin sending medical supplies to Venezuela next week, bringing several tonnes of pharmaceutical products to the South American country, Venezuelan President Nicolas Maduro has said. "The Russian authorities have announced that next week, several tonnes of various medicines and pharmaceutical substances will be delivered. This will be held regularly. Week after week", Maduro said during an event devoted to the relaunch of a Venezuelan national programme to develop the pharmaceutical industry. Maduro noted that Venezuela covers 70 percent of its own demand for medicines, noting that he expected Venezuela's key partners, Belarus, China, Iran, Russia and Turkey, to help the country by supplying the necessary medicines. "We are connected by the relations of a powerful alliance", Maduro said. 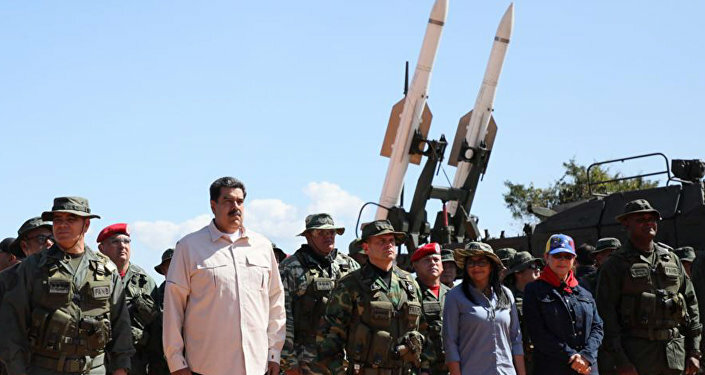 Maduro has said that such deliveries helped develop Venezuela’s system of imports, noting that the country was living "under the conditions of a blockade and persecution by the imperialistic government of the United States in terms of finances and economy".